Taking advantage of the many opportunities at the Chamber is beneficial to your business. Being active on a committee affords you the opportunity to meet new contacts and help both the Chamber and Community as well. Why not consider joining a committee today? Contact the Committee Chairperson or the Chamber Office at 860 388-3266. Each December, the Annual Meeting is held commemorate our year and to approve the Board of Directors slate for the following year. We announce The Business of the Year, the Non-Profit Business of the Year and Volunteer of the Year. 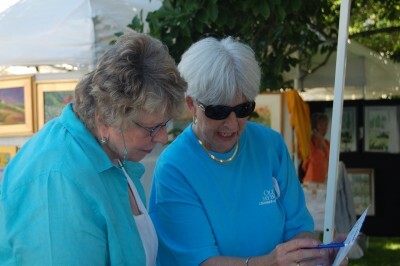 Committee members assist with planning and execution of the event of this annual 2-Day Event that boasts 150+ artisans & crafters exhibiting on the Old Saybrook Town Green. Committee plans and organizes the annual Expo to promote business-to-business networking, showcase member products & services and invites the community to visit each booth. March 3, 2018 marks the 22nd Annual Outdoor Winter Community Event. Committee assists in recruiting, marketing and execution of this event – 20+ years strong. 30+ chili recipes are cooked by chamber members – tasters purchase ballots and vote for their favorite chili. Proceeds benefit the Chamber’s Scholarship Fund. 3rd Annual Event to be held September 16, 2018 at the Lorensen Auto Mall. 6th Annual Golf Tournament at the Lake of Isles-South Course October 2018. This event is held on Foxwood's private course and is special in every respect! Continuing to enhance our relationship and schedule bi-annual forums with our Senators and Representatives. Dates of our forums to be announced. The Wellness Committee meets the second Wednesday of the month. Committee meets monthly from January through December. Ambassadors serve as public relations support for the Chamber of Commerce. They assist the Chamber’s recruitment and retention efforts through personal interaction and involvement; help to host Chamber events; visit new and existing members and ascertain feedback. The team helps to develop member services relevant to the Chamber mission and member needs. The Marketing/Tourism Committee promotes the Chamber to the community, chamber members and potential members. Develops Chamber ‘Brand’ and works with EDC to develop and market the town/region for attracting businesses and residents as well as promoting tourism. An opportunity for members to network with others in a fast-paced roundtable session. Meetings are held the 3rd Wednesdays of the month 8am-9am. Check website calendar for location. A collaborative initiative for women in business - providing luncheon and evening programs educating women in leadership, development, mentoring and networking. Committee develops the scholarship application, screens applicants and selects the winners of the Annual C. Wilfred Hunter Memorial Scholarship. We are a very busy office and volunteers are the backbone of our organization, doing everything from answering phones and helping visitors in the office to assisting at the many events throughout the year. They are energetic, community-minded individuals, volunteering a couple of hours per week, who enjoy being in the center of the action. We genuinely value their time and dedication to keeping things running smoothly. We put on numerous events throughout the year, most famously our Chili-Fest where over 30 businesses participate in a town-wide chili cooking contest to raise scholarship money for high school seniors. We also have an annual Arts & Crafts Festival, enjoyed by all in town. As you can imagine, with such a busy schedule, we are grateful for any and all help we can have at our 20 or so events throughout the year. We always welcome new community members so to volunteer please call 860-388-3266 or stop in Monday through Friday anytime from 8:30-4:30.